Poultry farming is no joke, as the animals themselves will let you know. You need to take a lot of care and precaution when it comes to farm animals, especially chickens. There are some things you’ll need to know in advance like coops, how to keep them clean and healthy, etc. When it comes to chickens, for starters, having a chicken tractor helps. But don’t worry, if you do not have the slightest clue about a tractor for chickens. This article is to help you with just that and a lot more. A chicken tractor is nothing but a chicken coop on wheels. But it’s no ordinary chicken coop either; it is sort of floor-less in structure. No, your birds will not be perpetually in the air, only that the floor is made up of mesh, so your birds can easily feed even when mobile, and can poop at their own discretion. Its biggest usefulness is that it helps you move your poultry from one place to another, without the fear of predators tugging at your heart. The whole idea is to get your chickens to move all across your backyard or a pasture every single day, without having to worry about their safety. With the help of a chicken tractor, you can ensure that your flock gets to feed on fresh vegetation at all times. The best thing about a chicken tractor is that it allows backyard chickens to eat up the tender tips of grass and weeds as well as any small bugs and snails, which they totally relish; helping control pest population in its own way. On the other hand, as you move your tractor to take your chickens from one place to another, their nitrogen and phosphorus-rich droppings scatter all over the property, making for natural mature. Why is it called a tractor? The movable chicken coop is called a “tractor” solely for the reason that it uses wheels to move along the ground while transporting the birds from one area to another and uses the chickens to work the soil, mirroring the work of an actual tractor on the fields. If you are looking for alternative methods of lawn-mowing or getting rid of weeds, moving your chicken tractor around is probably a good option. With the help of your tractor and chicken friends, you can easily turn a small patch of land into a garden, by working on your land through the tractor and later, fertilizing it and planting seeds. However, make sure that you move your tractor on a daily basis, or else it will turn into nothing but a dirt patch or bare earth. What are the benefits of a movable chicken coop? Having a chicken tractor in place of your ordinary, run-off-the-mill chicken coop comes with its own set of advantages. 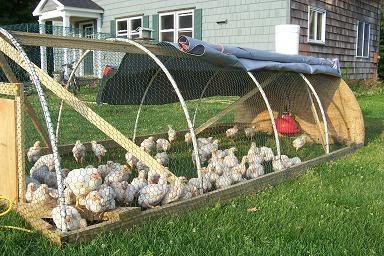 One of the most important things that a chicken tractor does is provide protection to your beloved poultry. In the case of a permanent coop, your chicken and their eggs are at a risk of running into unwanted predators, especially when you let them out to graze. However, in a tractor set-up, your chickens and their eggs are in no way threatened, thanks to the enclosing mesh around them. Moreover, due to the absence of a concrete floor, they get to have all the benefits that a normal coop usually entails, like natural access to food, dirt, etc. The sheer portability of the tractor is another one of its benefits. The movability factor allows your chickens to have a fresh ground to feed on every day, so they never have to get used to the same spot. Moreover, they have access to a different environment every now and then, which not only keeps them healthy, but also curiously engaged (chickens are particularly curious birds). 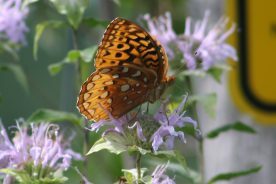 Also, the movement keeps them from overgrazing or over-tilling a particular patch of land, especially if it’s a premature plot. Chickens will definitely poop wherever they go. And trust me that it’s a really good thing happening for you. It’s a little known fact that chicken poop contains nitrogen and phosphorous compounds, which act as excellent natural manure for whatever land they fall on. And the best about being mobile is that the manure doesn’t build up in a single area, but keeps falling on different areas at different points, maintaining a stable balance. It is best if you can move your chicken tractor over your own garden beds. Doing this will definitely help, because it tends to utilize the natural behavior of chickens: improving the growing conditions in your plot of land. Your chickens will end up scratching the earth, improving the soil texture, providing better aeration and water percolation to the soil, and eat all possibly harmful bugs. 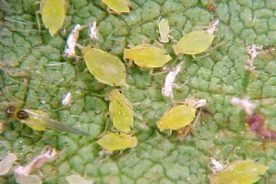 This particular technique is even more useful during the winter months, because chickens tend to eat bugs which cause overwintering in the soil, and thus you can save your soil quality to grow plants in the spring. Chickens, if allowed to roam freely, can eat a lot of different things. However, if they are let loose on a permaculture land, it gets difficult to keep them from eating seeds, seedlings, stems, or leaves of plants that you would want to grow for personal usage. 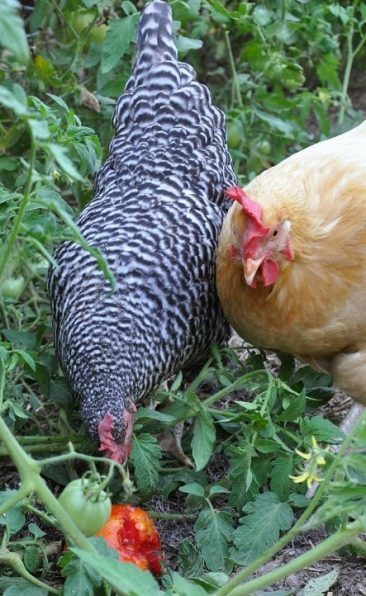 However, keeping your chickens in a tractor means that they still get to eat what they like, but you can keep your garden safe, especially when letting them eat bugs off your garden and pooping natural manure on your coveted garden. Since the tractor is a movable vehicle, there is hardly any bedding build-up or manure to clean, which makes it extremely low maintenance in nature. Apart from collecting eggs and seeing to it that your chickens have adequate food and water, the only other thing required is to actually move the tractor, which saves a lot of additional time and energy. In a permanent coop, there would be a lot of cleaning duties which can take up a major chunk of your day, if you decide to devote your time to it. If you are planning to make a chicken tractor of your own, it hugely depends on the quality of materials that you buy, and your engineering skills in putting all the parts together. Or else, if you are not the manual labor kind, you can always buy a chicken tractor from the market. If you think you have the dealings required to build your very own chicken tractor, then you should definitely take up the challenge. It’s not only the cheaper option, but a great way to make sure that your tractor is totally according to your style and specifications. 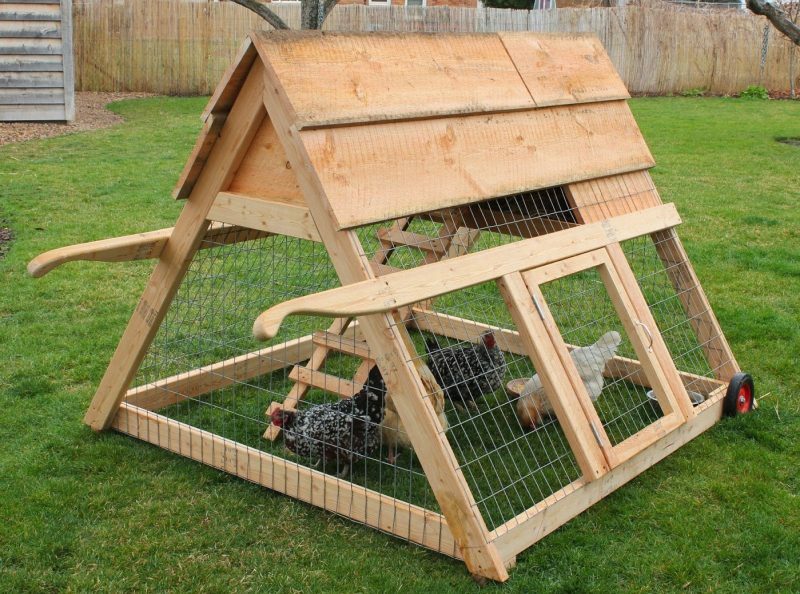 Once you have your entire equipment ready, here are the necessary steps to build your very own chicken tractor. 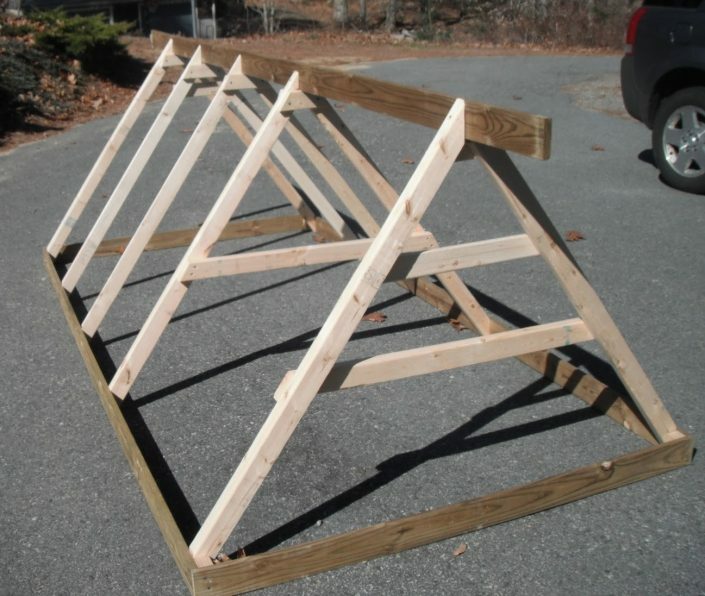 If you are just looking at making a portable chicken tractor for your personal use, then it is suggested that you start 2×4 inch for the bottom frame of the coop, with corner braces and screws to put them in place securely. It is imperative that you make the bottom frame in a square form, to ensure maximum space utilization for your chickens. Make sure you check if the planks are the same length, by using a corner piece of plywood. You can choose what kind of a frame you want, and it can be anything from a simple square one to a fancy A-frame. But make sure, whatever frame you decide to make; you are super comfortable with your decision. You can use 2×4 inch planks to make the frame, and deck screws to fasten the planks together. You can have additional stringers in the bottom of your frame, to provide added support to your structure. This is one of the most integral parts of making a chicken tractor for yourself. 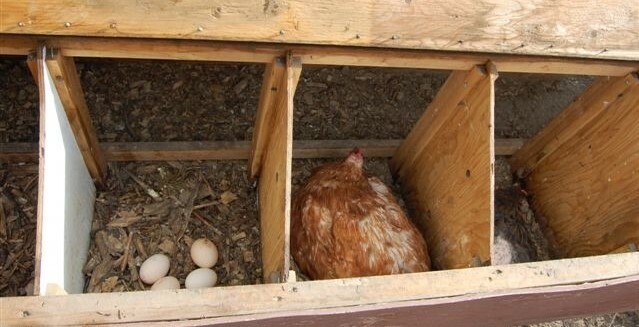 If you are breeding chickens, they will lay eggs, and you need to provide them with a safe and comfortable area to do so. Building nest boxes is not at all a complicated process, and can be built into the tractor’s frame along with a hardware cloth lining. Building a door for your nesting boxes is essential, if you want to keep your chickens safe and sound from predators, especially during nighttime. It’s better to make a super lightweight frame for your nest house, so that it doesn’t affect the mobility factor of your chicken tractor. Just make a wooden square framework, with wire mesh clasped tight within. Building a chicken run is extremely essential for your tractor, because the chicken run ensures that your birds have ample access to forage, along with being safe in an enclosed area. It is best if your chicken run has a wire mesh underneath, so that your chickens have the liberty to eat and poop as they like, all the while lifting your burden to clean the coop every single day. 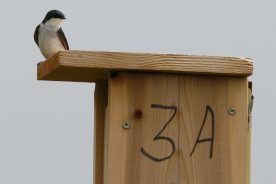 Also, the top of the run should be left open, so that your birds do not feel claustrophobic or restless in any manner. After you are done making the framework, attach wheels at the bottom of the run to make way for mobility of your chicken tractor. Once this is done, your basic framework of a portable chicken tractor is complete. You can always put in your choice of design elements and innovate, like adding a roof, putting electric net fencing instead of plain wire mesh, etc. at your discretion. Once you start looking at making your own chicken tractor, you first have to get hold of all the supplies that were mentioned above. The tools and materials required to build a portable chicken tractor can be easily found at your nearest hardware store, so there is not much to worry about. 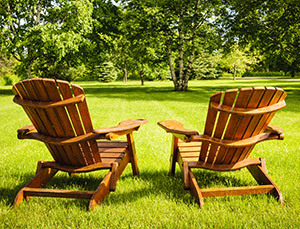 If you intend to follow a proper plan and build the tractor, you can purchase plans from any home improvement store, or look up a tractor plan online (which is the cheapest and easiest way to go). However, if you think that DIY is not really your cup of tea, you can always look at the option of buying a chicken tractor from the market. Chicken tractors are available at the farming stores, and if the one you like isn’t available, you can check out options on the Internet and buy your tractor online. 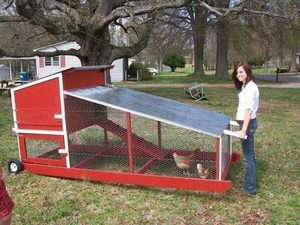 Chicken tractors are widely available in home improvement stores across town, so it should be pretty easy to buy a chicken tractor for your beloved birds. Or else, you can check stores like Hayneedle, Tractor Supply, etc., if you are looking at buying your tractor online. Keeping chickens in your garden for eggs and fresh meat might sound like fun, but it is a decent amount of work as well. Since your birds are completely dependent on you, you need to make sure that they are healthy and safe at all times. And having a chicken tractor for them is the best way to ensure that. Making your own tractor may be hard work, but it is also a lot of fun, especially if you are into some major DIY. But if you decide to buy your tractor, make sure you compare prices and check the shape and size of your tractor, whether it will be able to house all your birds together. If you buy online, make sure to do a thorough check of your tractor once delivered, and only accept it if its in the best of shapes. What does a chicken tractor do? A chicken tractor, also called an ark, is a normal chicken coop with attached wheels. Mostly built in an A-frame or a box frame, they are built without a concrete floor, and use wire mesh or electric fencing wire for the birds. 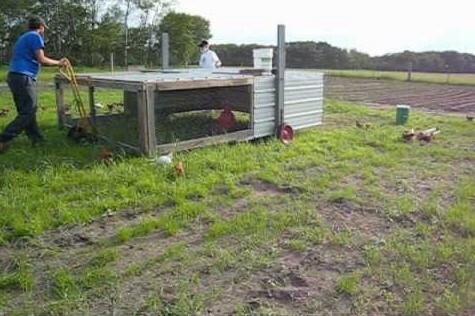 A chicken tractor may even be used to house other kinds of poultry in them. What size chicken tractor do I need? The size of your chicken tractor ideally depends on the number of chickens you plan to keep in it. For different quantities of birds, you get different sizes in the market. Depending on the number of birds, like say for 5 chickens you would need a smaller tractor, but for about 30 chickens, you would need a much bigger tractor. How often should I move my chicken tractor? It is advised that at best, you should move your chicken tractor at least once every day. Not only does this ensure that the mobility of your tractor doesn’t go rusty, it also makes sure that your birds have access to different kinds of foliage at all times. Moreover, moving your tractor helps to spread chicken poop in different places, which acts as natural manure, and also saves you a lot of time that you would have otherwise devoted to cleaning. How tall should the chicken tractor be? Your chicken tractor should ideally be at a height of 3 feet above the ground, because it gives your chickens a lot of breathing room and fresh air, and doesn’t make the coop too compact. Moreover, the height also helps keep most predators away, which is an added bonus. What can I use to make chicken tractor wheels? If you are planning to make your own chicken tractor, it is advisable that you go for recycled wheels, like your old lawn mower for example. Buying new wheels is an expensive job, as you will not get good wheels for a decent price. But if you want to buy new wheels, you can go for small wheels or bike wheels, as per your discretion.